Best Practices - Family Times is an award-winning magazine with staff-written news, feature stories and artwork that inform and inspire Central New York parents and their children. Of all the skills elementary students acquire, learning to read is probably the most important. Literacy unlocks all the other skills and information that teachers have to teach and students need to know. The Reading League is an organization whose purpose is to help teachers bring evidence-based practices into their classrooms, and Maria Murray is its founder. The league is a volunteer partnership made up of educators, researchers, school administrators, parents, support specialists, healthcare providers and others. Murray has been a literacy professor at SUNY Oswego since 2008. With the Reading League, which she started two years ago, she focuses on reading instruction and assessments that help students learn to read. Many local educators are now embracing the use of evidence-based practices in helping their students build literacy skills. The Reading League offers professional development opportunities, instructional materials and support. “We know we are filling a hole that needs filling,” says Murray, who lives in Syracuse with her husband, Dan. She is the mother of a grown daughter, Kate, and a son, Mark, who is a junior at Centre College in Kentucky. Murray became interested in the effectiveness of literacy education as a graduate student at Syracuse University. She was fascinated by the research her adviser did in Central New York. 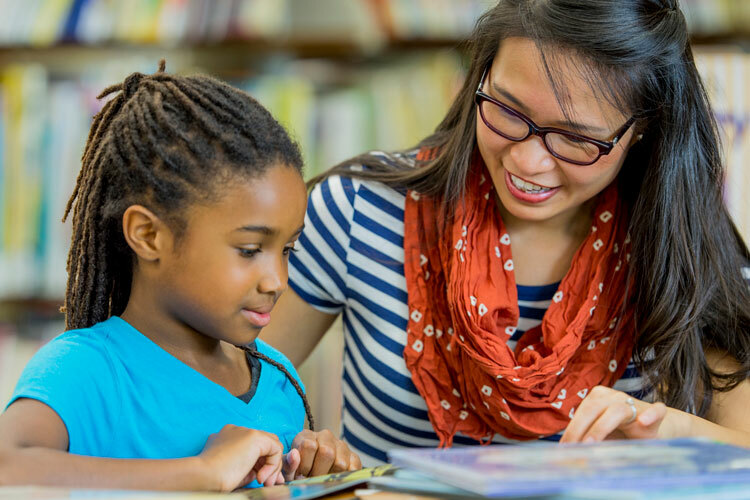 Using grants from the National Institute of Child Health and Human Development, they spent a year working with struggling second- and third-grade non-readers, teaching them to read. Their research showed that, after the interventions, the students’ brain activation patterns began to measure similarly to those of non-impaired readers. But change is afoot. The workshops and professional development opportunities offered by the Reading League every other month are attracting educators from all over Central New York. Each event is hosted by a different school district. Teachers did, indeed, previously have access to literacy-focused continuing education and professional development. New York state encouraged collaboration among school districts and educators in 1948, when it established statewide BOCES (or Boards of Cooperative Education Services). Murray says that the Reading League’s professional development events complement those offered by BOCES, giving teachers the tools they need to apply evidence-based practices to their own teaching styles. As someone who works with future teachers at SUNY Oswego, Murray knows that the formation of an educator doesn’t end upon graduation. She wants those already working in the profession to have access to the best information available, and the guidance to use it. “With reading, we now have evidence” of what works, Murray says. “We have brain-imaging studies. We have the science and the research showing that to teach kids to learn to read, it has to be a systematic program. Murray points out that even in some of the most affluent districts, where students have been read to since birth, and have access to steady streams of books, some 40 percent to 50 percent of the fourth- and eighth-grade students are not reading at grade level. “We could just tweak a few things and bring the children’s eyes and brains to the pages in a way that makes them go, ‘Oh, I get it. I now notice this and will use it when I see it again instead of guessing,’” she says. Murray would like to see teachers stop encouraging what she calls “guess reading.” Looking at pictures to determine what words are is not a strategy that builds literacy skills; nor does placing too much emphasis on the first letter of a word. Murray says there is a strong link between literacy and behavior. Students who score low on their earliest phonemic awareness assessments (phonemes are the sounds that make up words) in kindergarten are often the kids most frequently sent to the principal’s office by the time they are in fifth grade. Murray is excited about a slew of new partnerships and projects that the Reading League has in the pipeline. A new director, Stephanie Bartling, is on board. There’s a planned partnership with the Society for the Scientific Study of Reading on a quarterly journal; the possibility of building a leadership team that would work with teachers directly in applying proven reading strategies; and the making of two videos (thanks in part to a $5,000 Jim & Juli Boeheim Foundation grant) that will enable the organization a straightforward means of conveying its mission. Murray is inspired by collaborations among educators, fostered by the Reading League. More information can be found on the league’s website, TheReadingLeague.com, and through its YouTube channel. Whatever other endeavors the league pursues, the organization remains committed to solving the problems that have always fascinated Murray in her career as an educator. “I think there is no more honorable profession out there,” Murray says. “Every teacher wants to do the best for their children. I have seen teachers with tears in their eyes—just giddy with relief.